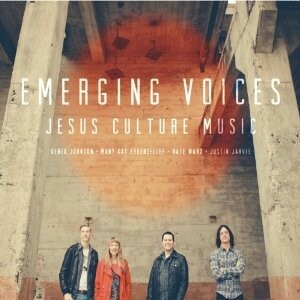 Emerging Voices, the seventh new full-length recording from Jesus Culture Music, is going to be released on July 31, 2012. This new album features 11 original songs by four new rising worship leaders: Derek Johnson, Mary Kat Ehrenzeller, Nate Ward and Justin Jarvis. Banning Liebscher, Jesus Culture director says that I'm excited to introduce four emerging voices to you that we know and love, we believe that there are emerging voices being raised up around the earth right now, and these voices are going to be used to see entire nations awakened to the love of Jesus; awakened to the gospel. This is really our heart for this album, Emerging Voices. Below is the list of tracks which are going to be released on 31st July. You can also listen to their preview by visiting the Jesus Culture Website. Liebscher also said that "Kim Walker-Smith, Chris Quilala and Melissa Wise-How were worship leaders who were young and involved in our youth group and that the Lord began to anoint to see their voice stir the hearts of the Church and awaken people to Jesus. This album is just a handful of these emerging voices; ones that are close to us: Derek, Mary Kat, Nate and Justin. I'm convinced that God is going to take their lives, songs and anointing to impact an entire generation."